There are two types of fields available for display on your search pages - Basic Fields and Advanced Fields. 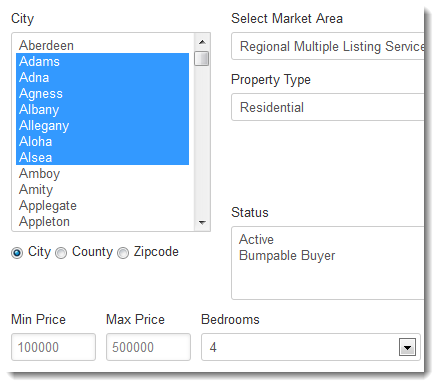 Basic Fields or "core fields" are search fields that appear at the top of your search pages and include city, county, postal code, price, property sub type, status, bedrooms, bathrooms, square feet, and acres. Advanced Fields display underneath the Search and Reset buttons on your search pages and include all additional search fields available from your MLS. These fields can include Area, Subdivision, Waterfront, Foreclosure, or a number of other things. To customize the display of the basic fields on your IDX search pages, click Design in the main menu, Website in the submenu, then Page Templates. Here, you will see a list of all IDX page links available to you. Your Search Pages are grouped together at the top of this list. Click Edit under the Preferences column for the Basic, Advanced, or Email Update Signup search page you would like to customize. In this section you can customize the Page URL, Page Name, and choose whether to use any Custom city/county/postal code lists. Click here for more information about creating Custom city/county/postalcode lists. 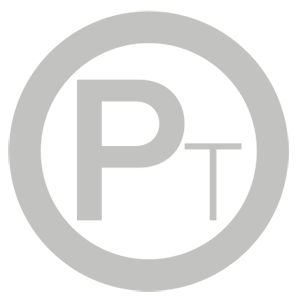 Here, you will see all of the basic fields currently displayed on this IDX search page. 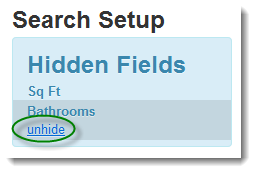 You can hide fields by placing your mouse over the field you would like to hide and clicking the small "Hide" link displayed next to that field. Fields that you have hidden will be listed on the left in the blue column. Place your mouse over any item in this list, and click Unhide to add it back to the search form. You can set default values for any field on this page by simply filling in the fields. In the screenshot below, we've set the Min Price to 100000, the Max Price to 500000, the Bedrooms field to 4, and we've also selected some default cities. When your site visitors view your search page, these fields will automatically be pre-populated with the values entered in on this screen. You can create custom City, County, or Postal Code lists to apply to this page. Once created, a new list will populate in the appropriate location. Just select the list you would like to use from the dropdown option. 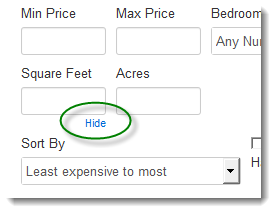 When you are finished customizing your fields, click Save Changes.